Remember the commercials where someone accomplished something awesome (like winning the Super Bowl, let's say) and an announcer would say, "you just won the Super Bowl, what are you going to do now?" 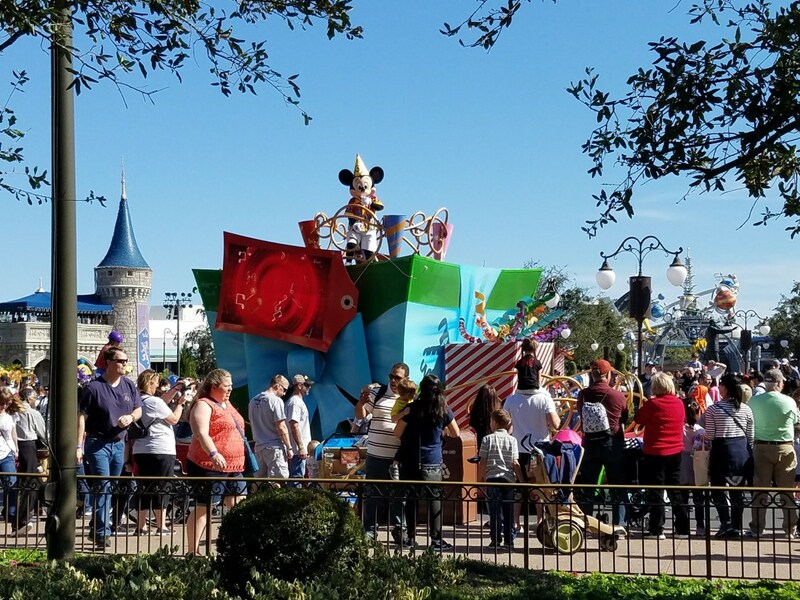 Disney's newest commercial features the song "Good Life" by OneRepublic. 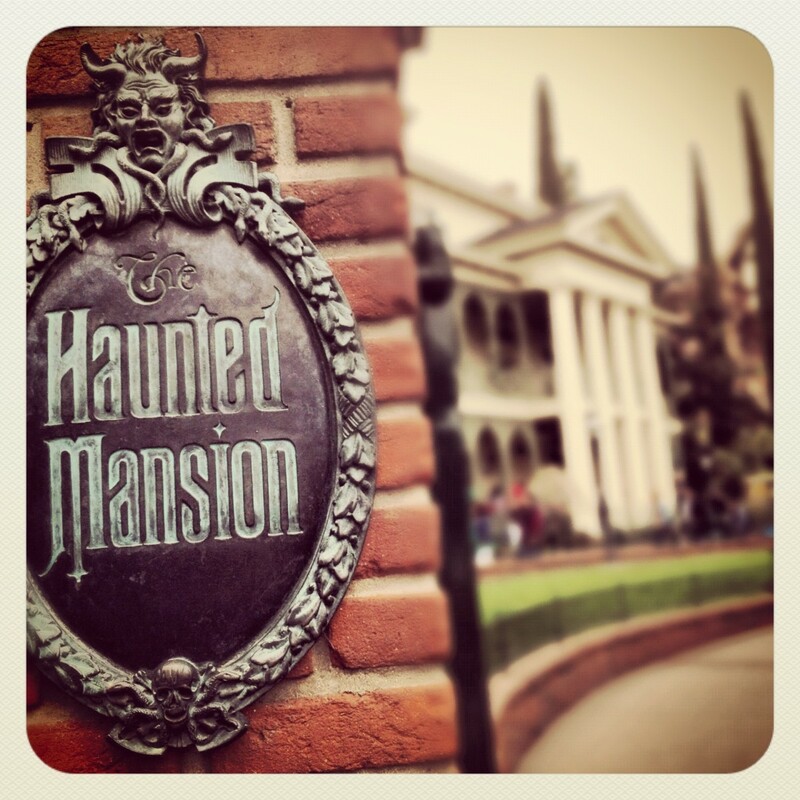 So any time I hear that song in the car, I want to keep driving and go to Disney (we live 5 hours east of Anaheim in Arizona). Very clever Disney ;) Much like I always want some Burger King when I hear "Melt with you" by Modern English. Anyway. 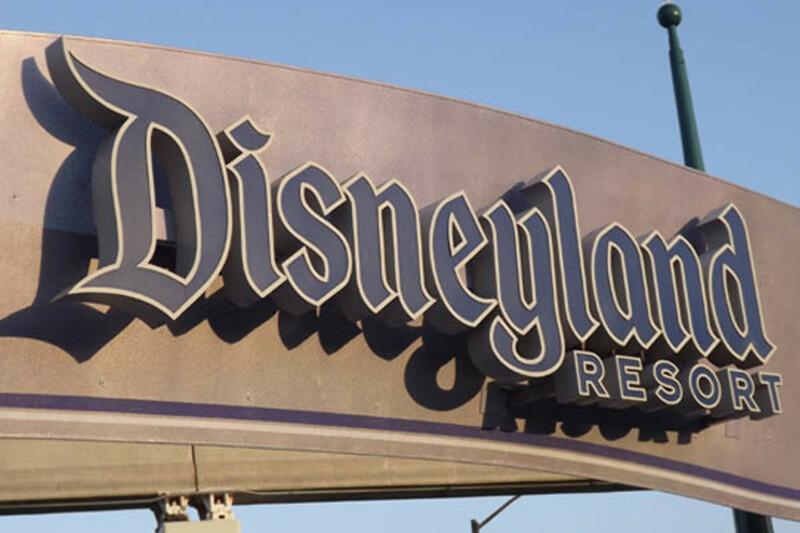 As a kid, these commercials drove me crazy because I always wanted to go to Disneyland. I've been there over 20 times. My husband and I both are very familiar. 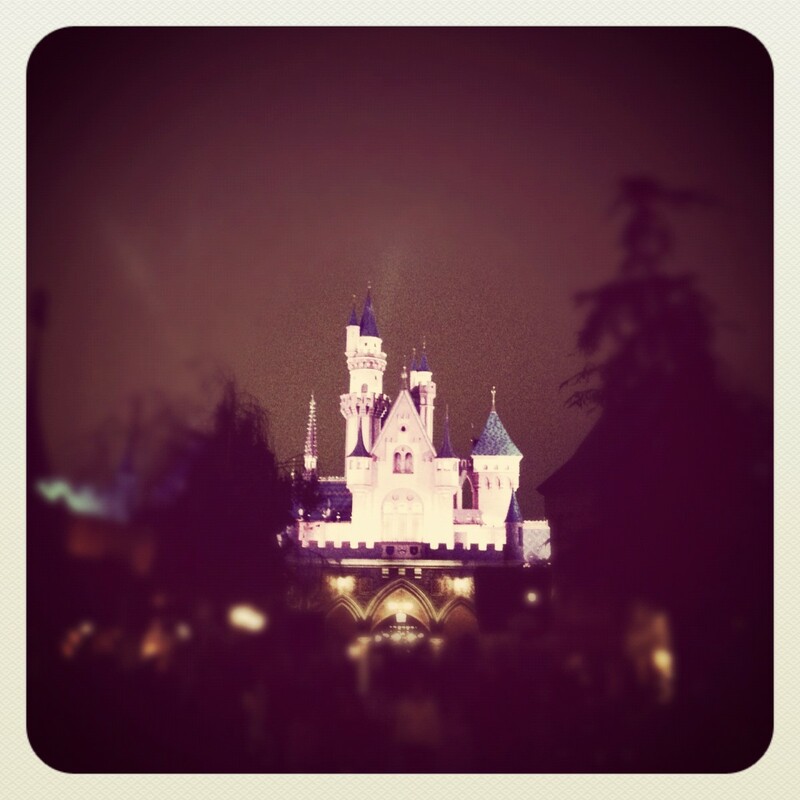 In fact, we find it so strange when we meet a grown adult who has never been to Disneyland. I wouldn't need any accomplishment or excuse to go. I'd go on a random Thursday. For our most recent Disney trip, we left on a Thursday but it wasn't random at all. We were celebrating our marriage on a Disneyland Honeymoon! Most people pick exotic or expensive honeymoon destinations; places they haven't been to. 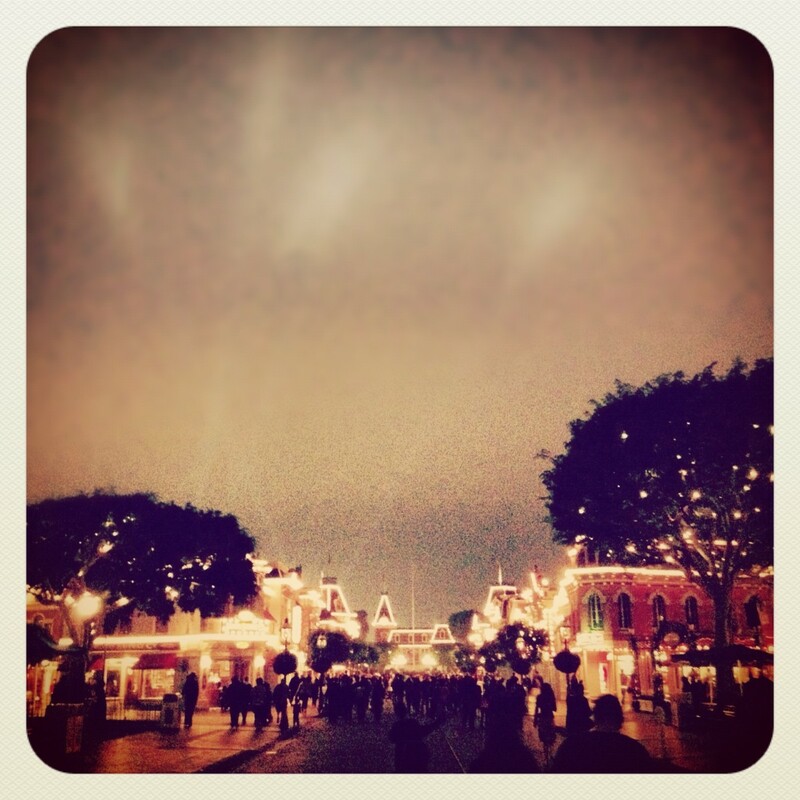 Or at least in the movies, they do ;) Instead, my husband and I picked Disneyland because it wasn't foreign at all. 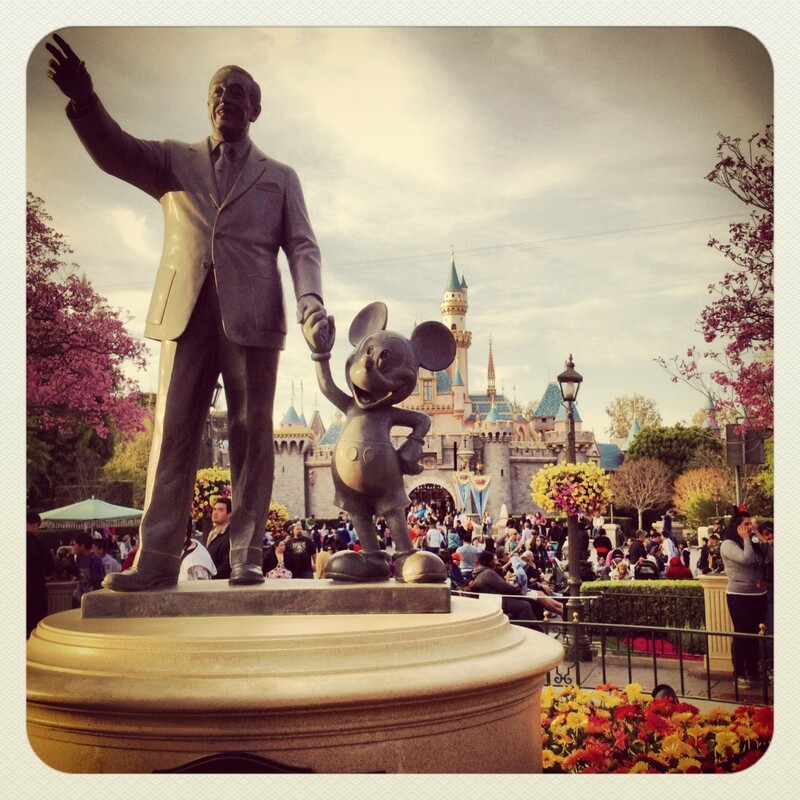 We love Disneyland and have many fond memories from visiting there as children. We even have memories of visiting there half a dozen times while we were dating and engaged. We knew that we wanted to remember spending our honeymoon together at a place we love almost as much as each other. And so we did! 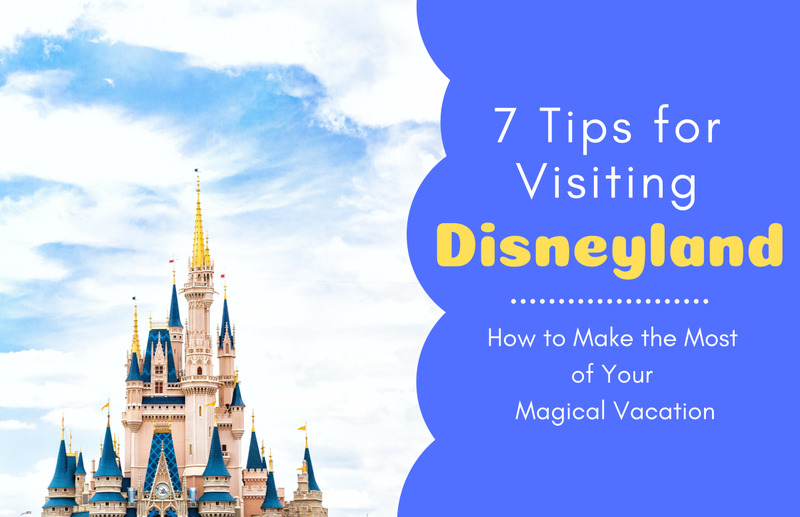 How is visiting Disney for your honeymoon any different than any other time in your life? On our first day, we visited city hall to pick up some buttons we had read about on the Disney website. For free, they will give you a "Just Married" button that you get to keep. 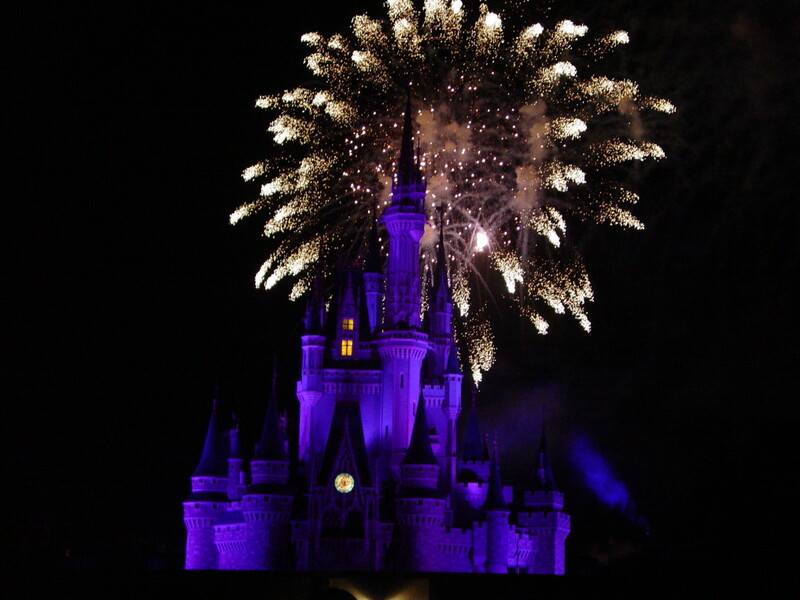 It features Prince Charming placing Cinderella's glass slipper on her foot with the text "Just Married." 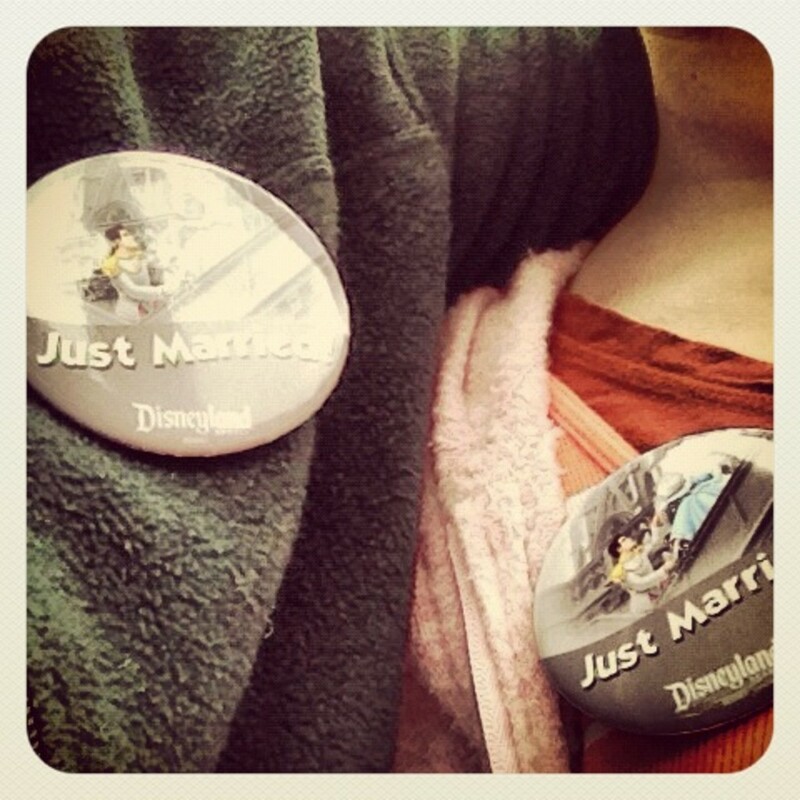 We wore these buttons for our three day visit and just about every person we came in contact with congratulated us on our marriage-- employees and other patrons even. I'm pretty sure that as a cast member, you're required to congratulate the person wearing said button. Having said that, each person did so in a very sincere fashion and with a smile. 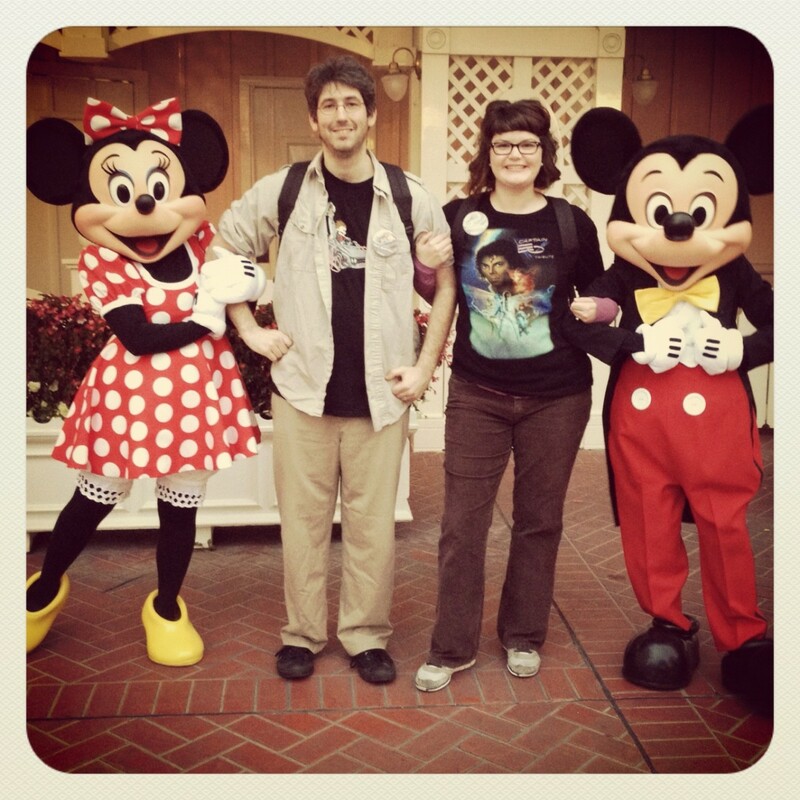 Cast members would ask us questions about our wedding and how we met, etc. If they were married also, they would say how long they had been married or share a quick pearl of wisdom. 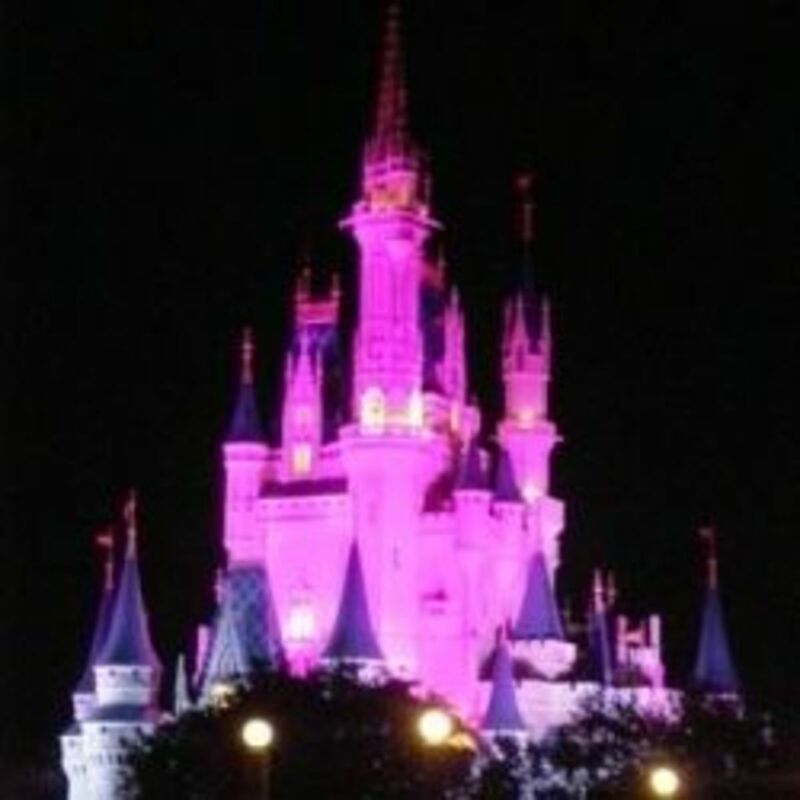 By the time we left the park on our last night, well over 200 people had congratulated us. I imagined it getting old, but it never did. They also sell some neat "just married" souvenirs, and we bought a few. We purchased a super cute 5x7 picture frame for one of our wedding photos. 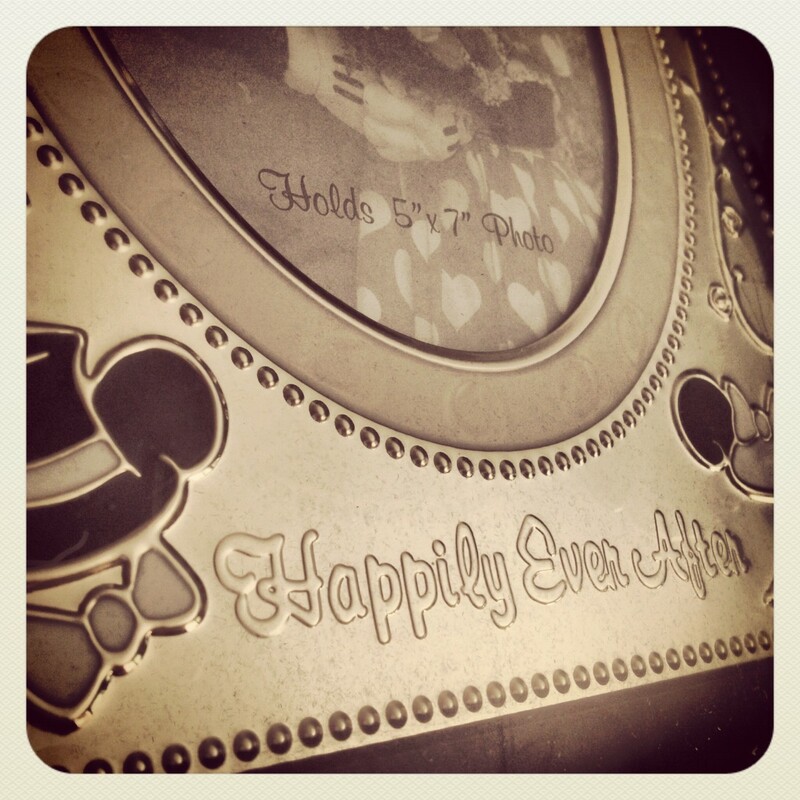 It features bride and groom mouse ears in the bottom corners with the text "Happily Ever After." We didn't even have to pay full price, either, but this wasn't a honeymoon perk. Disney has begun a new coupon program that we took advantage of when purchasing all of our Disneyland merchandise. Any time we ate at a park restaurant (not a churro or popcorn cart), the bottom of our receipt featured a coupon for 20% off one item at select stores. The only catch was that you had to use it within a certain time frame, but that wasn't a problem for us. 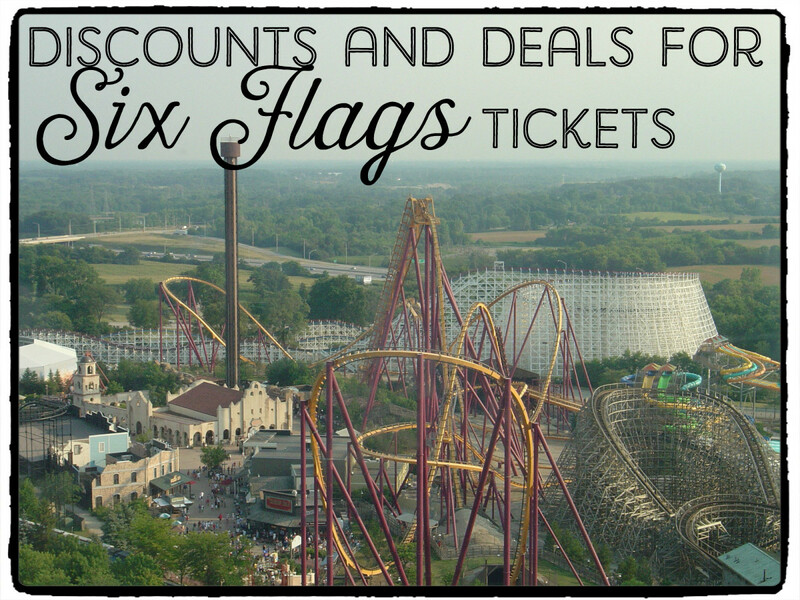 Altogether, we ended up with coupons for the Emporium and the Star Trader. We purchased the frame from the Emporium on our last day. 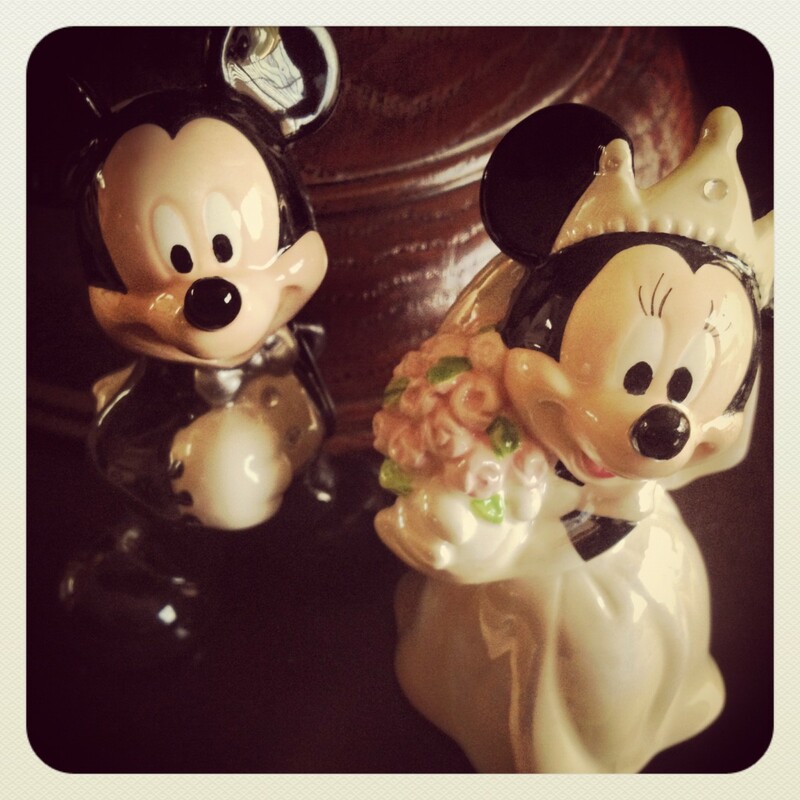 We also picked up some cute salt and pepper shakers from the Emporium. They're far too cute to ever use. Their noses are very fragile, so ours are purely for decoration. I can't wait to get a china cabinet to put them in. Any other time, I'd say these shakers are just downright tacky but I fell in love with them as soon as we saw them. 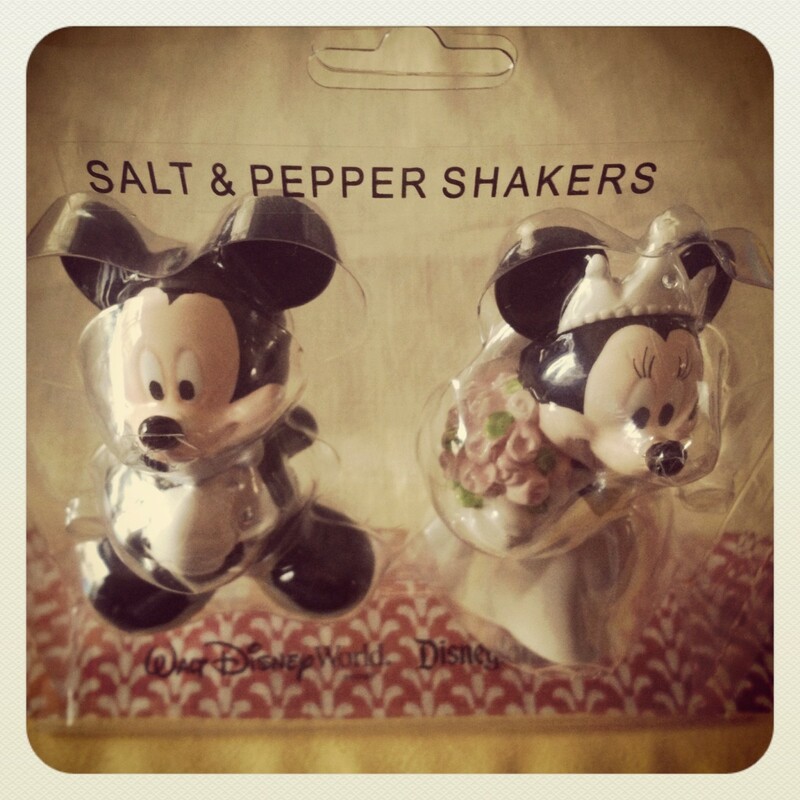 Should we ever use them, Minnie will be salt and Mickey will be pepper as I use salt and my husband uses pepper :) If you ever buy your own, inspect them very carefully. We almost bought a set with matching broken noses. To the best of my internet-searching abilities, these are not available anywhere else, but correct if I'm wrong. We also had our silhouettes hand-cut on Main Street. 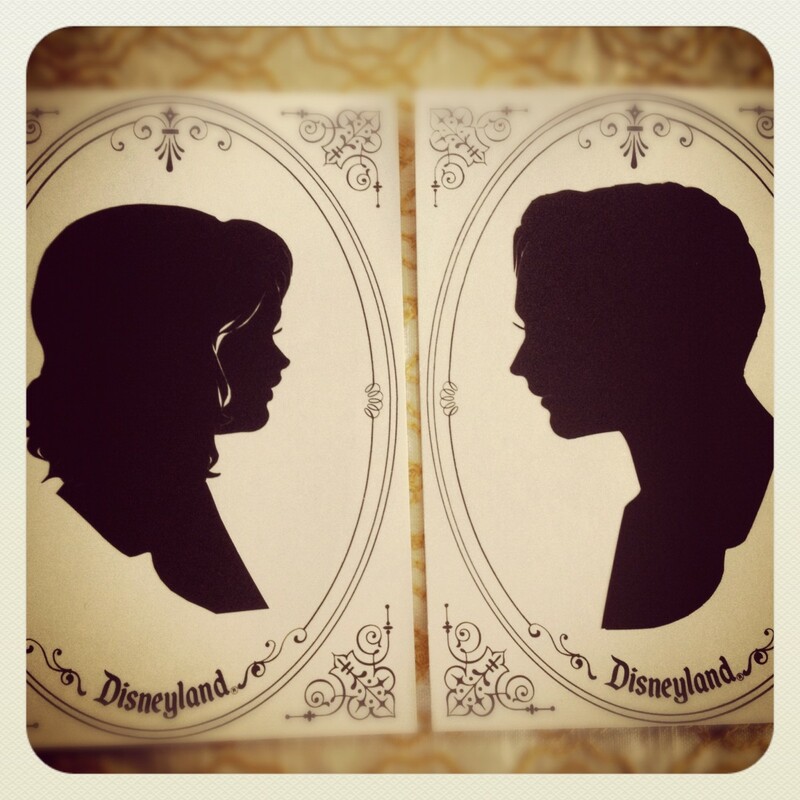 We had two sets made on our first Disneyland trip in 2005 when we were dating. Both sets were gifts to our mothers and are hanging in their homes. We decided we should get a new set to hang over our bed. This is a great item to get at Disney, especially on your honeymoon. It doesn't take long at all. A very skilled woman cuts out a side profile silhouette while you sit. It costs $9.00 per face and you get two copies. It's a fun experience and the finished product is beautiful. They sell frames too. 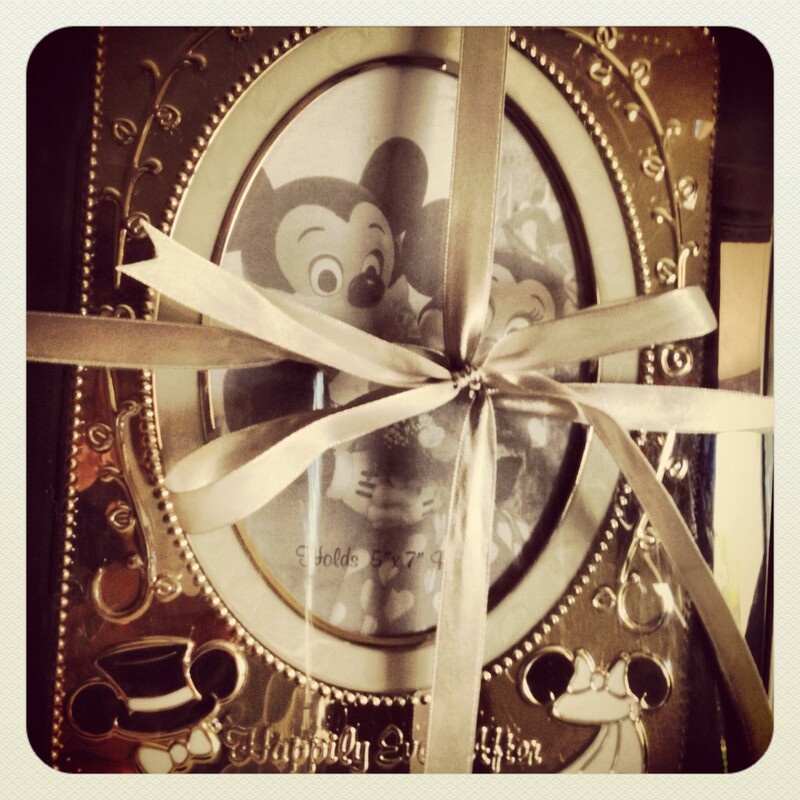 We purchased the Disney frames for the sets our mothers have back in 2005 but we decided to pick up something different at a later date. When boarding a boat on It's a Small World, the ride attendant congratulated us and seated us in the middle row on our very own private boat. This was neat since there was a line waiting so we know it had nothing to do with being slow. We certainly enjoyed (my favorite) ride free from other people's conversations and or camera flashes. It was a nice little moment to ourselves. On the last day of our honeymoon, we had been waiting in line for Indiana Jones for approximately 30 minutes when it broke down. 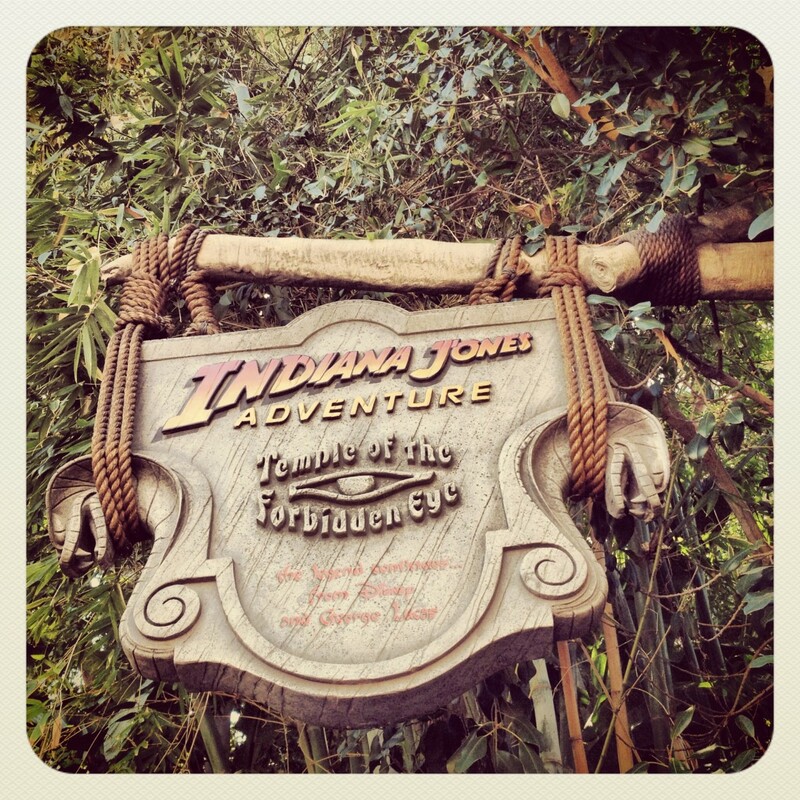 If you've been to Disneyland before, you know that the ride that probably breaks the most is Indiana Jones. It has good reason to-- it's a complicated ride. We didn't receive a pass for this ride because they only gave passes to patrons who were on it while it broke or literally about to get on it. We had a fast pass for this ride later on in the day, but wanted to ride Indiana Jones as much as we could on our last day. 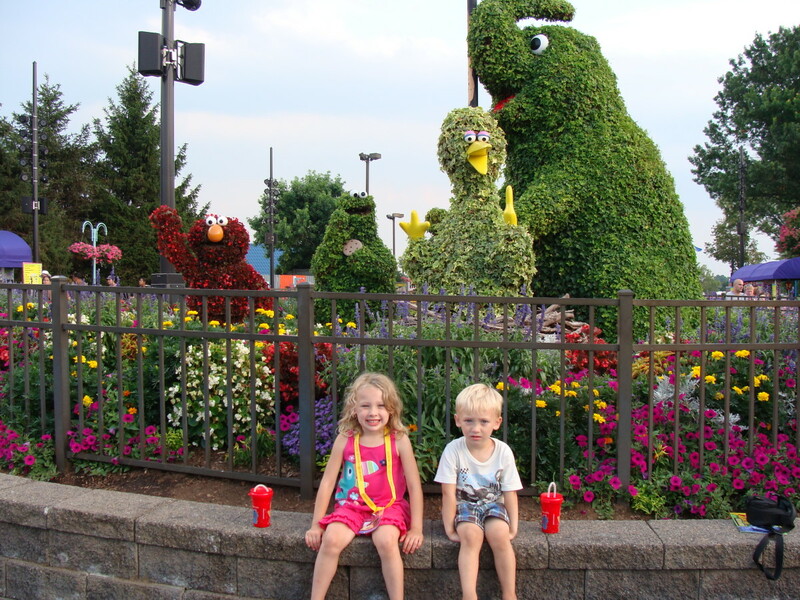 In our visits to the park in previous years, my husband and I discovered that when this ride breaks, it is usually up and running quite quickly. If you run to another land for another ride, Indy will probably be long working by then and have a longer line than before. So we decided to take a seat close by and wait a few. One of the cast members noticed us waiting, congratulated us on our marriage and made some small talk. He informed us that the operational error was different than usual and simply waiting it out like we planned could waste a good chunk of our last day (he was correct in the end). He said to check back in a bit while he was still there and he would get us passes since it was the last day of our honeymoon. 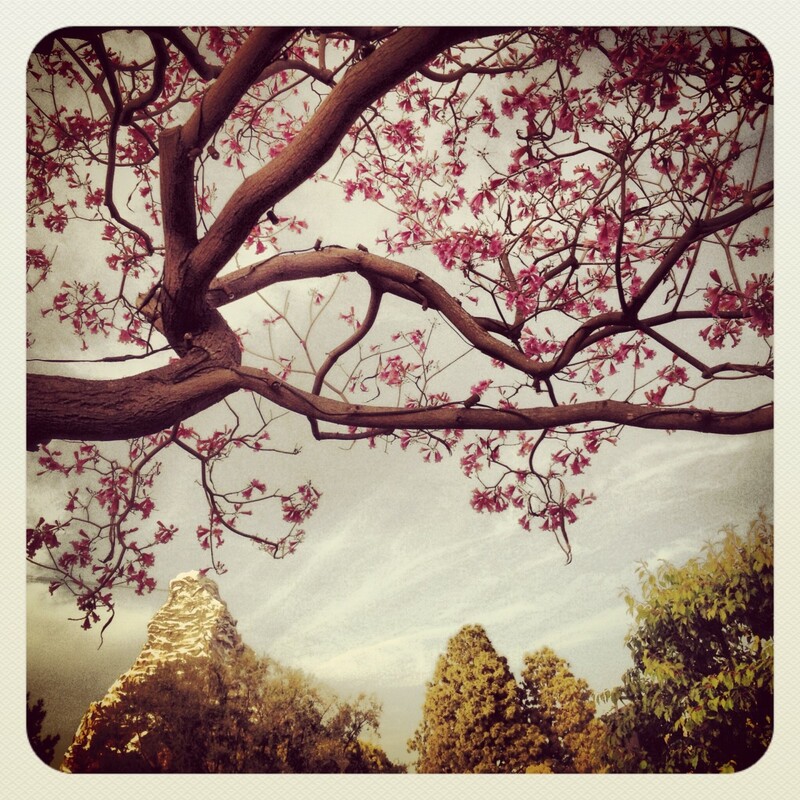 So in the meantime, we headed over to Big Thunder and hopped in line. We waited another 30 minutes. As we were about to tell the Frontierland cast member that we had two passengers, the ride was abruptly closed and everyone had to exit and let paramedics in. This was a little disconcerting but we chalked it up to someone doing something they're not supposed to do. Unlike Indiana Jones, we didn't receive passes even though we were about to board the ride. This was a little upsetting because both rides breaking down resulted in losing more than an hour. 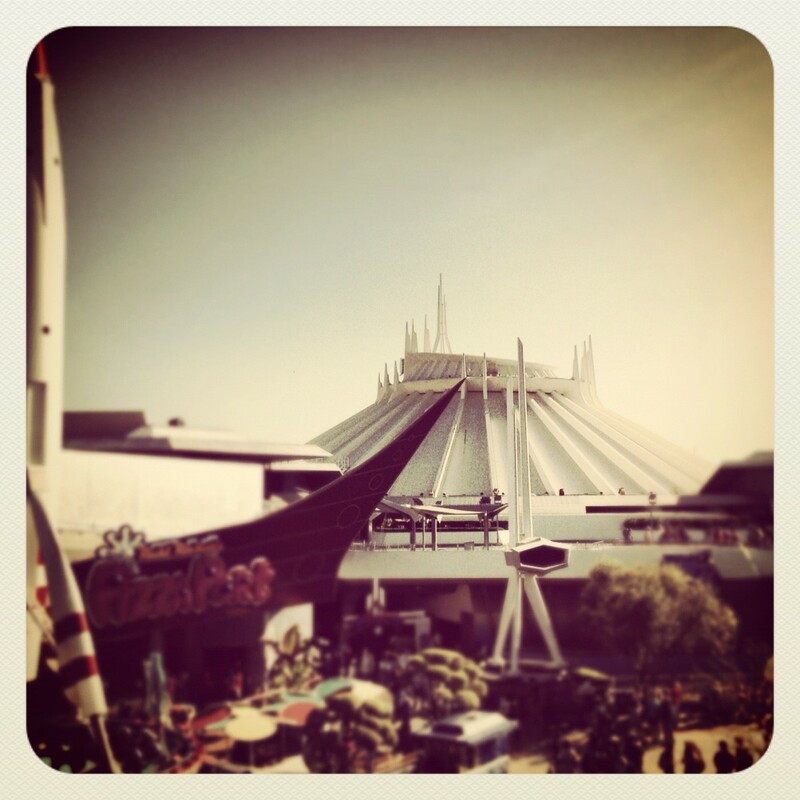 It might not seem like a lot of time, but my husband and I have visiting Disneyland down to a science. 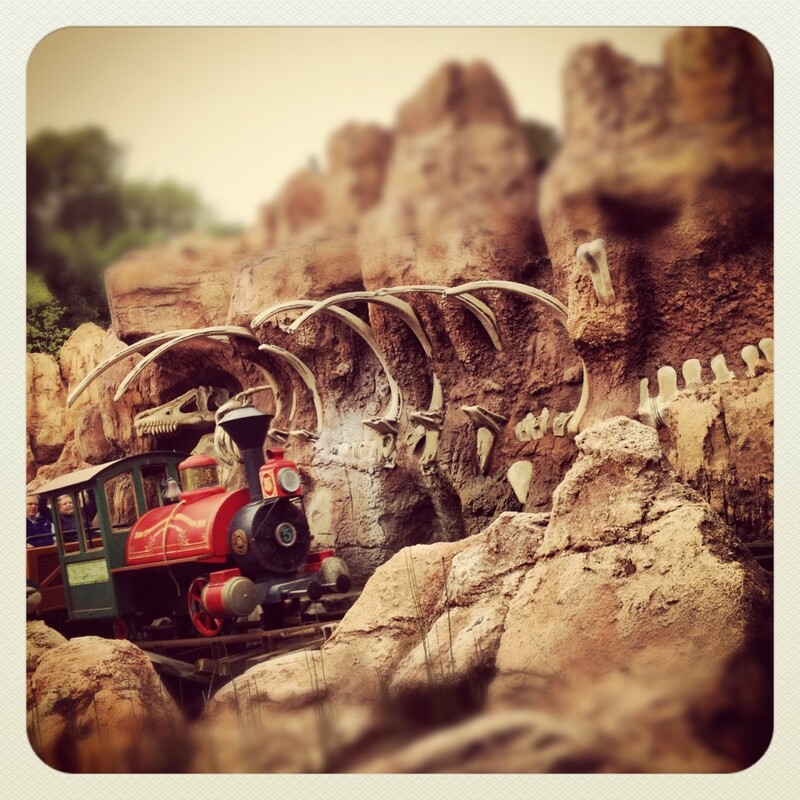 Between the fast pass program and our ingenuity, we can really do a lot with an hour. So we headed over to city hall. Right away they recognized our butons and congratulated us. We politely informed them that it was the last day of our honeymoon and we consecutively waited in line for two rides that both closed and we didn't receive return passes. The gentleman helping us issued us two generic passes that were good for up to 6 people and any ride of our choice (except World of Color or Star Tours). 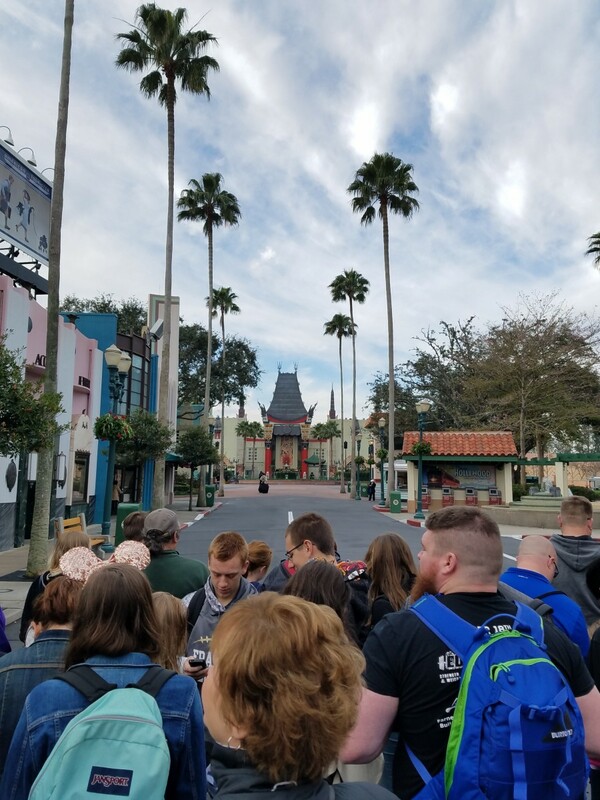 The slight limitation didn't bother us in the least since we had already ridden ST over 15 times at this point and we had no interest in WofC. The generic pass enabled us to use it on rides other than the two that closed, just in case they didn't open back up before we left that night. It was quite nice. As soon as both rides were open again, we got right on. Heather Says: We had an absolute blast. Even though we had been there before-- separately and together, it still felt special and new. 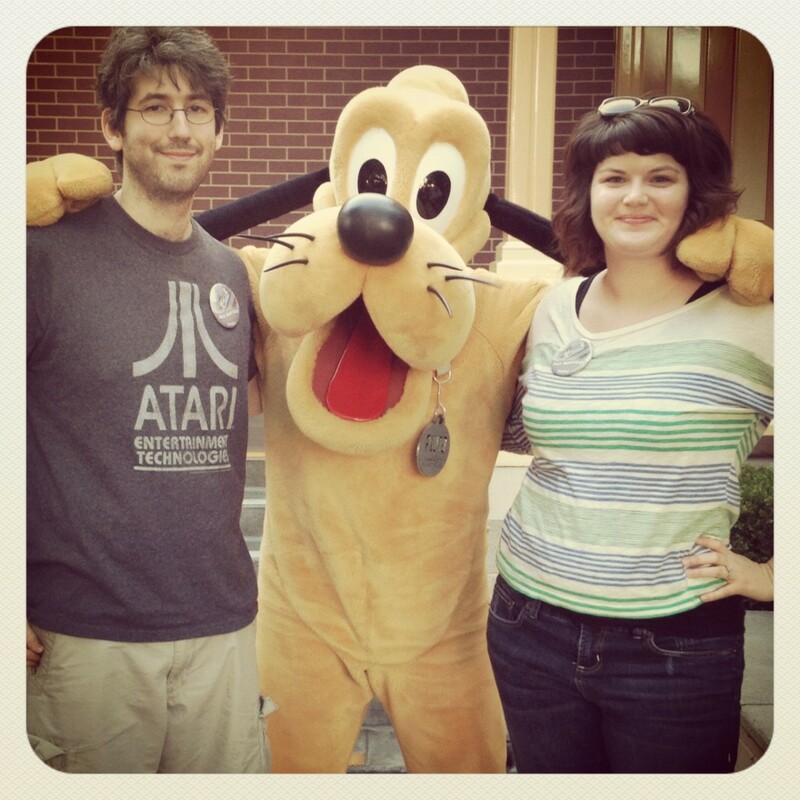 Celebrating our marriage and spending our honeymoon at Disney was great! In fact, our honeymoon was the first time we ever took advantage of a magical morning. In previous trips, we didn't wake up early enough to gain early entry. That extra morning hour and the beautiful weather were fantastic. My favorite part of our trip was our second night. It was steadily drizzling rain and a little chilly for my Arizona bones. 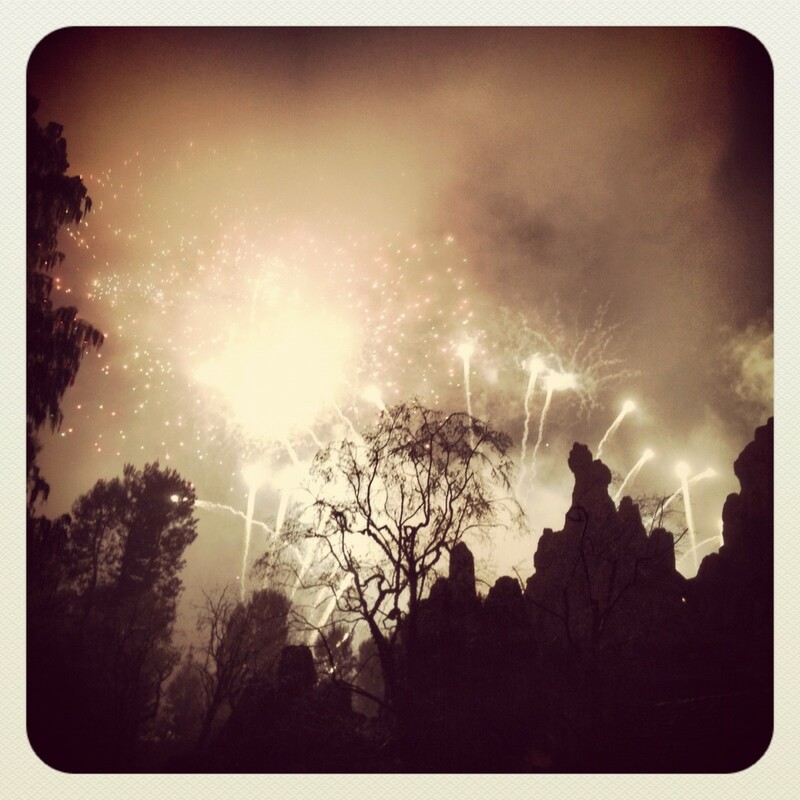 Fireworks were going off and while everyone was watching the show, we were riding Big Thunder over and over. We were soaked by the end of the night but it was a lovely series of moments that was every bit worth it. 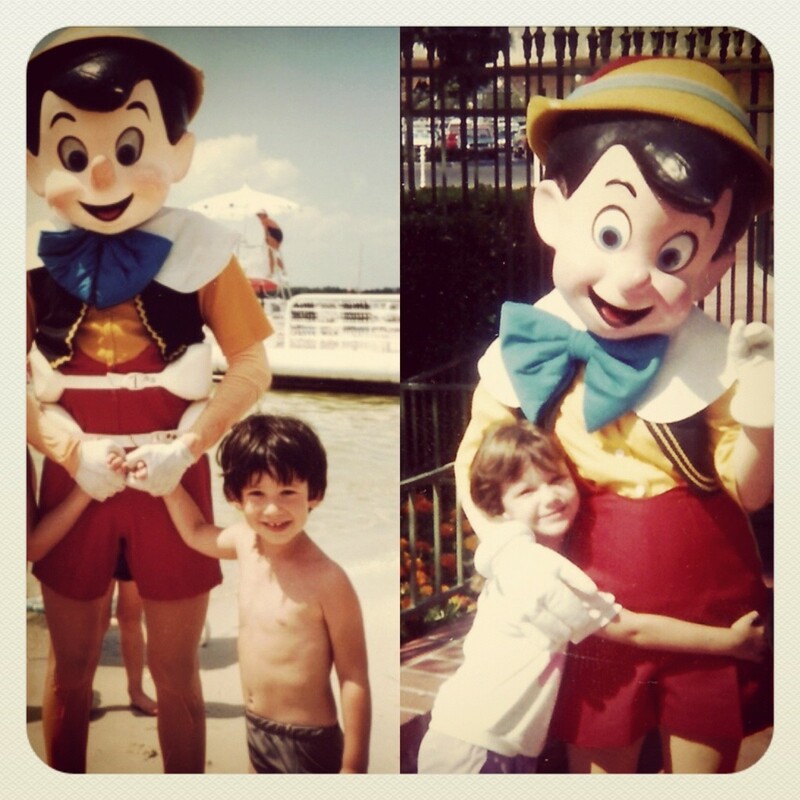 My wife and I went to Disney World 21 years ago for our honeymoon and had a fantastic time! One of the best things for us was, as we had planned far in advance, the food at Victoria and Albert's in the Grand Floridian hotel. Only 16 couples taken per evening, but the food and service are extraordinary! We also enjoyed the food and volcano-side seating in the Mexican restaurant at Epcot. Truly remarkable and enjoyable experiences. 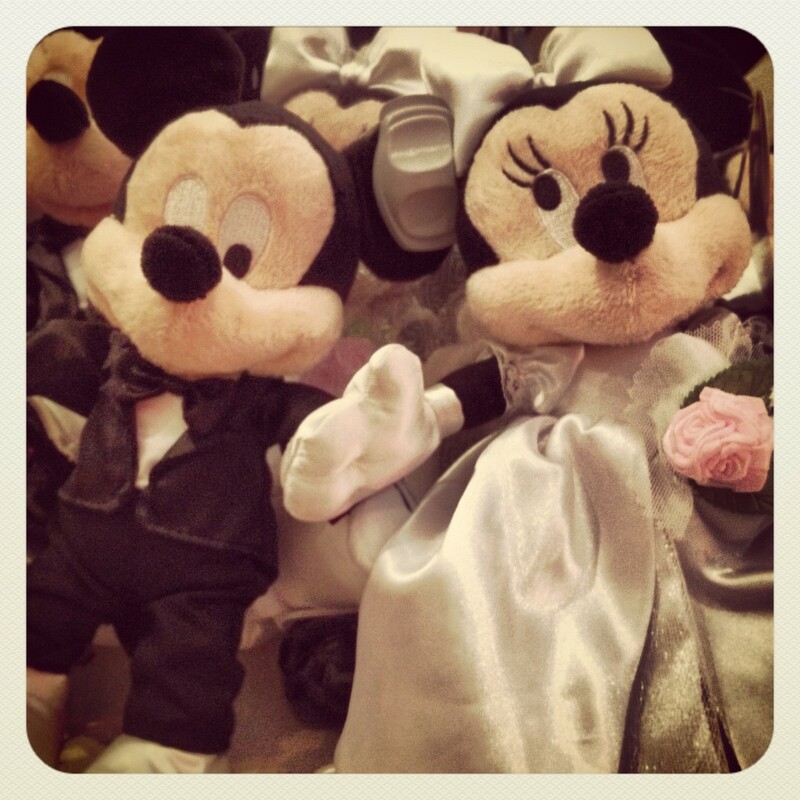 My fiance and I are going to Disneyland/CA Adventure for 3 days in 2-weeks for our honeymoon. What great tips, its been several years since I've been and we've never gone together. I'm getting married October 3rd. We are going to Disneyland for our honeymoon. 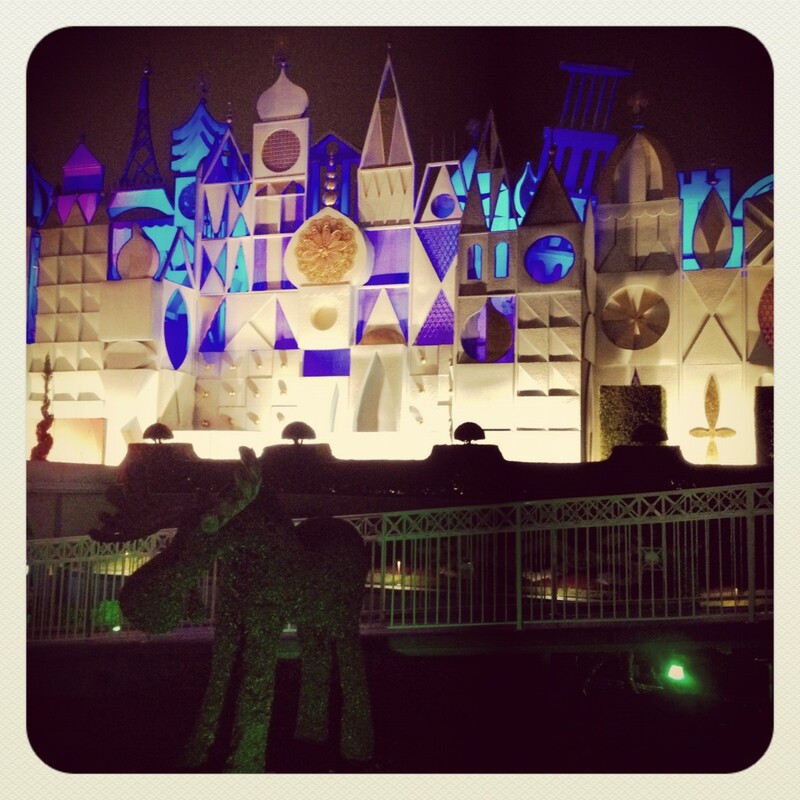 I am so excited to share the Disney experience with my husband. This is a really great hub. 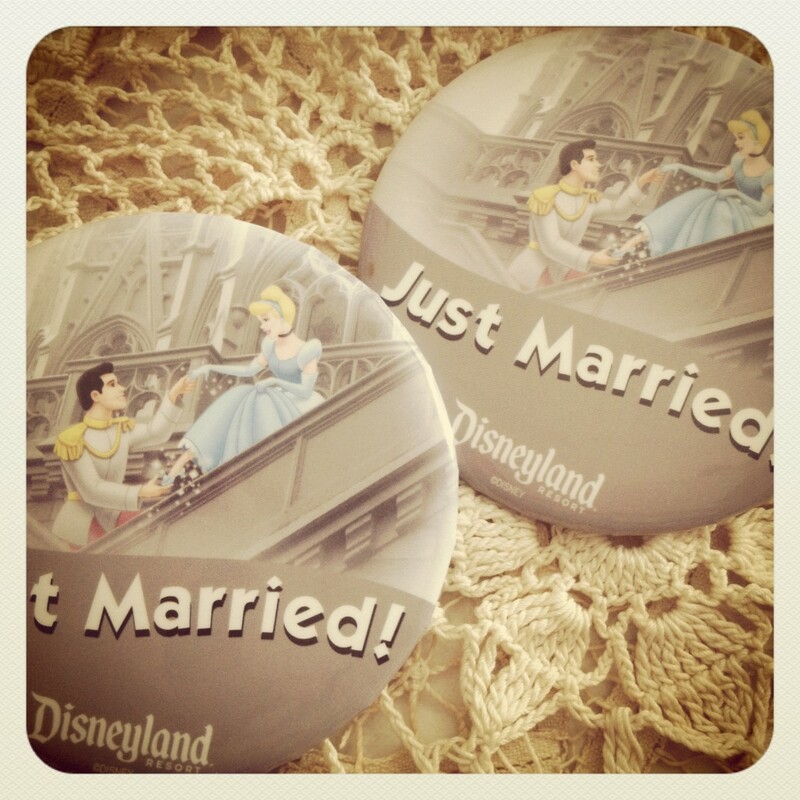 I have been to Disney plenty of times ( Land and World) but never knew about those just married buttons. Congratulations on your marriage and what sounds like a great honeymoon! It sounds like you had a fantastic honeymoon. I am happy for you and enjoyed reading your hub.